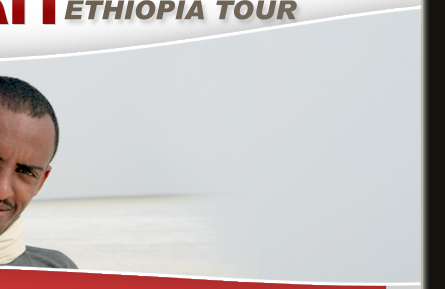 Negarit Ethiopia Tour is established by well experienced professionals with a combined 10 years experience. We’re a proud bunch who knows what it takes to make unforgettable trips. We’ve all been on the wrong end of crappy trips when we’ve travelled the world ourselves. That just won’t do when you’re travelling in our backyard. We’ll do what it takes to make you love our country as much as we do. Our team investing their knowledge which gained from academically and travelling throughout Ethiopia and beyond. The aim of our company is to promote the tourism resources of Africa, particularly Ethiopia for the rest for the world. Our goal is to provide you excellent and memorable services in the tourism sector. So what makes us legendary? Our people; that's all. Sounds simple doesn't it? We've always stuck stubbornly to our mission of making each trip the best. But the true legends are our Crew. Recognised as the best, our team are in a class of their own. They were born to show off their country in a style that has made them world famous. With Negarit Ethiopia Tour you'll find your tour and excursion to the wide range of tourist attractions like wildlife, historical and religious sites, and cultural attractions, archaeological, geographical and geological sites of Ethiopia marvelous and memorable. Our young energetic team members will do everything possible to make you feel comfortable.